I couldn’t have had a happier wife; she loved the gift and was a happy woman. Thanks Burlingham! We wanted to have a natural birch jump and jump poles as part of our wedding décor. Burlingham was awesome! I was able to order my daughter a completely customized trunk that was absolutely beautiful. They did an amazing job and the best part is the gift arrived within a week on Dec. 23rd. I have only great things to say about Burlingham Sports. They make a product that is extremely sturdy, durable and withstands all kinds of weather. Thank You Burlingham Sports. FAST, EFFICIENT, and REALLY GO THE EXTRA MILE! It’s hard to beat customer service like this these days. Truly a great experience working with the people at Burlingham Sports. Burlingham Sports offers a wide variety of bridle racks and saddle racks. View all the options on our Brass Bridle and Saddle Racks page or if you prefer check out our Chrome Bridle and Saddle Racks. I can’t thank Burlingham Sports enough! After calling several tack shops to locate a Burlingham Sports’ saddle trunk, I kept getting the same answer: the saddle trunk wouldn’t arrive for two to three weeks. I was desperate for it to arrive in six days because the trunk was for my wife’s birthday. When I called Burlingham Sports, I explained that I had dropped the ball on my wife’s gift and needed a saddle trunk ASAP. Burlingham was great! Like the other tack shops, they said it would normally take two weeks to ship, but after placing me on hold for a minute, they came back on the phone to say they can have the saddle trunk shipped in two days. True to their word, the saddle trunk arrived before my wife’s birthday and I couldn’t have had a happier wife; she loved the gift and was a happy woman. Thanks Burlingham! There is something nice about getting a real person on the phone when you call customer service these days. I was looking to purchase jump sets and when I called Burlingham, Brenda answered the phone. She listened to what I needed and helped me make the best selection from their many options. She gave great information on how I could customize the jump sets to fit my taste at no extra cost. She even helped me reduce the freight cost by running the numbers on what I wanted to order. It’s hard to beat customer service like this these days. Truly a great experience working with the people at Burlingham Sports. They’re FAST, EFFICIENT, and REALLY GO THE EXTRA MILE. Burlingham Sports saved one little girl from a Christmas meltdown. As a busy mom, I waited until the last minute to do my Christmas shopping. Luckily, I knew exactly what I was getting my horse crazy daughter. She wanted a purple and pink tack trunk. I called Burlingham to place an order and saw on their website that all custom orders had to be placed two weeks before Christmas to arrive in time for the holiday. I had only a week before Christmas, so now I was frazzled, but asked Burlingham if they could make an exception. They did!! I was able to order my daughter a completely customized trunk that was absolutely beautiful. They did an amazing job and the best part is the gift arrived within a week on Dec. 23rd. I had plenty of time to wrap the present and make one little girl very happy at Christmas. Our wedding was horse themed, so we wanted to have a natural birch jump and jump poles as part of our décor. It was a last minute decision to have jumps behind us during our pictures, so we weren’t sure if they would arrive in time. Burlingham was awesome! First, they responded to my email immediately. Every time I emailed with inquiry, they got back to me within the hour. They also shipped the jump in two days and saved us a ton of money by shipping the poles separately so the boxes could go on FedEx ground. I have only great things to say about Burlingham Sports. They make a product that is extremely sturdy, durable and withstands all kinds of weather. My jump sets have lasted me for at least 10 years. However, my new horse decided he liked chewing on them, so I needed to replace a couple poles. When I called, I spoke to Brenda who helped me select the best option for what I needed. She worked it out that I would receive more jump sets at the same shipping price if I ordered a few more poles. A really great team at Burlingham Sports with products that are long lasting. Thank You Burlingham Sports. Thank you for all our jumps. They are beautiful and made so well. We are enjoying them. 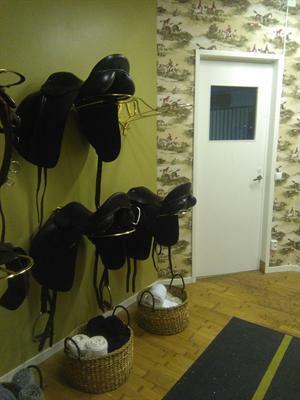 I have many of their products, dressage arena, tack trunks, letters, cavaletti, mounting blocks. Love them all! Well designed, equestrian user friendly, beautiful and long wearing! Easy to do business with. Brenda who helps me every time I call is amazing.